"I've never heard of you either, dickface." - Louis C.K. (S0211) As we get into the home stretch of Season Two of Louie, it’s as good a time as any to take a step back and say, with the proper amount of reserve, that this has been one of the great all-time single seasons of any television show ever to air. It’s put itself in that rare air occupied by Season Four of The Wire and Season Three of Breaking Bad, a show whose cylinders are all firing at once and in a way rarely seen. The strength of Louie lies in its blatant disregard for convention and expectation. Two weeks ago, “Come On, God” drove this home. In the hands of any other comedian, maybe any other writer of any sort, the story would have gone in the expected direction, where the anti-masturbation activist played by Liz Holtan would have been revealed as a fraud, or as easily swayed from her chaste convictions. What C.K. does is vastly unexpected, instead making her position different, but still sane, rational, and even romantic. That the show can punctuate such a deft, realistic handling of religion with a fart joke just further drives home the point: there has never been anything like Louie. Tonight’s episode, “Duckling,” was another in the line of improbably powerful episodes that the show has trafficked in this year. On the surface, it’s a much different story than Louie has done before, down to the typical jazzy soundtrack being replaced by much more cinematic, and the low-budget New York City backdrop seamlessly replaced by Middle Eastern mountain ranges. There are, however, the recurring themes of finding common ground with people from an uncommon background, and C.K. trying unsuccessfully to seduce a Christian woman. It’s things we’ve encountered on the show before, but, as always, they are presented in a brand new way. It’s a simple enough premise, taking C.K. on a USO tour of small Army encampments in the hills of Afghanistan with a country singer and a pair of cheerleaders. War has always been a tricky subject for American television. There have been a multitude of sitcoms about it (M.A.S.H., Gomer Pyle), but very few dramas, at least on network television. It’s simply not something the viewing public wants to be exposed to in too realistic a way. 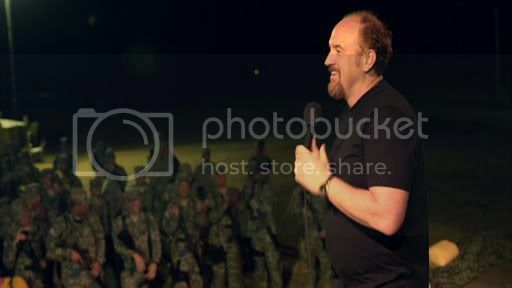 Louie wisely avoids the politics and violence of conflict, instead focusing on the ways our troops are just a bunch of young, tired kids who are genuinely friendly and welcoming, despite the horrors that they live with every day. They, and the show itself, treat all of the entertainers with respect and appreciation. Even the cheerleader who’s too young to know who Led Zeppelin is finds some moments of friendliness and friendship with C.K. Granted, those moments arise thanks to a small duckling that one of C.K.’s daughters has snuck into his luggage as protection. Here, again, Louie doesn’t take the expected path. The animal never gets harmed, is welcomed by all who encounter it, and diffuses a potentially tense situation with a group of armed Afghans. It’s innocence personified (or at least duck-ified), an object a more cynical showrunner would have perhaps put in harm’s way. This speaks to what is perhaps most remarkable about the show: it approaches just about everything in a remarkably good-hearted and humanistic way. From the kindness of his neighbors in the season premiere to Joan Rivers’ monologue about bringing people happiness to the peaceful singalong with the rural Afghans that concluded tonight’s episode, Louie has, time and again, rooted itself in joy. It’s amazing that a show by a comedian known for his on-stage cynicism that takes place, for the most part, in New York City, a place that can breed negativity in just about anybody, can be about how important it is to love and be loved. The sense of joy extends to the technical side of the show, too. C.K. clearly enjoys every aspect of filmmaking, from directing to editing, and the more padded-out portions of “Duckling” never feel gratuitous because that enjoyment is palpable in every frame. The footage of helicopter flights and the rocky terrain of the countryside seem less like filling in an hour of television and more like someone taking advantage of the once-in-a-lifetime opportunity to be a genuine filmmaker. 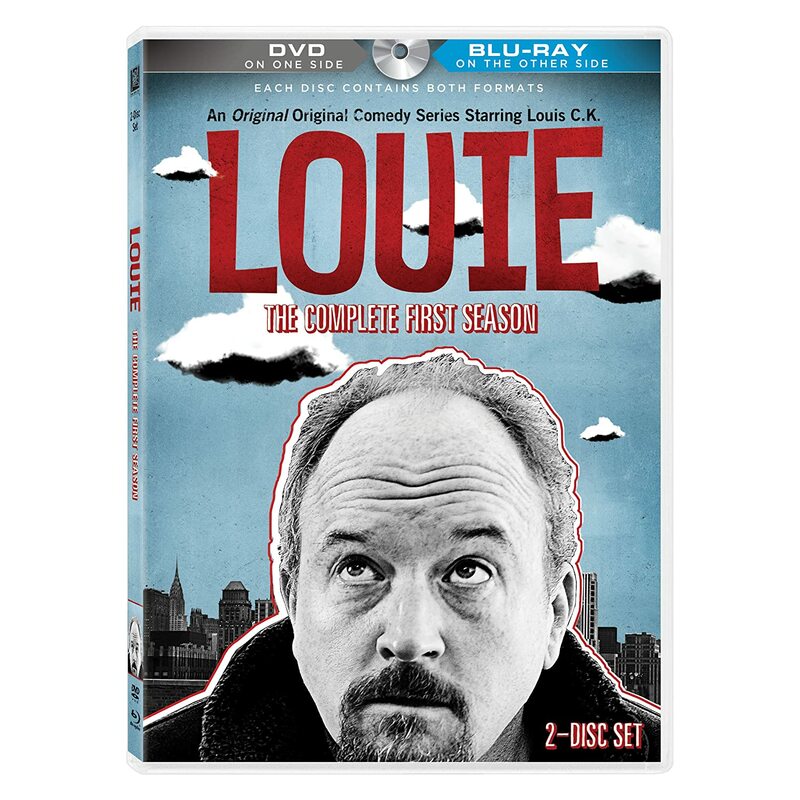 Sitcoms can go to some dark, frightening, alien places like Afghanistan or a beaten-up car with a suicidal friend or the apartment of a mentally unbalanced widower, but Louie finds a way to make it all beautiful, and to make the audience laugh along the way. The only bad part of the season so far is that there are only two episodes of it left. Until then, viewers will keep enjoying this remarkable, impressive, timelessly great ride. A writer, photographer, Brooklynite, and fan of all things pop culture. Except cat videos. Those are just a slippery slope. So many great points Andrew, and awesome to see you back in action ! So many strange and iconic moments this season. The bit with Louie on the subway platform with the classical violinist and the homeless man is seriously one of the greatest bits of visual art that one can imagine, at once funny and tragic and fully and wholly evocative of the best and worst of urban life. Without any freaking dialog! So the greatest seasons in TV only go back as far as 2006? Really? That's rather an astounding statement. I mention Buffy and Sopranos El B. Here are the ones that leap to mind: Twin Peaks S1, any season of Fawlty Towers or The Office UK, first three seasons of Monty Python's Flying Circus, Seinfeld S4, X-Files S3 (just for episode with Peter Boyle as psychic), Ren & Stimpy S1, SNL S3 or 4.